SAN MATEO, Calif. – Oct 29, 2018 – Snowflake Computing, the only data warehouse built for the cloud, today announced that it was named as a leader in the Forrester Research, Inc. October 2018 report, The Forrester Wave™: Cloud Data Warehouse, Q4 2018. The report evaluated 14 vendors based on 25 criteria, including performance and scale, administration and tooling, and security. In addition to receiving the highest possible score for automation, provisioning and upgrades, Snowflake also received the highest score possible for the roadmap criteria, which correlates with a unique and innovative strategy among vendors, which the report associates with the potential for increased market momentum and growth. 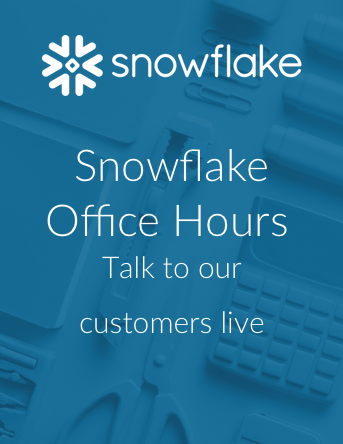 Snowflake believes innovations such as Snowflake Data Sharing, aka The Data Sharehouse™, will continue to keep Snowflake ahead of other vendors. With Snowflake Data Sharing, customers become “data providers” and “data consumers” by easily sharing and receiving secure and governed data in real time, without having to move data. Customers can share any piece of their data across and between all their business units, outside their organizations with their ecosystem partners, and external data consumers. The report is available for download here, compliments of Snowflake.